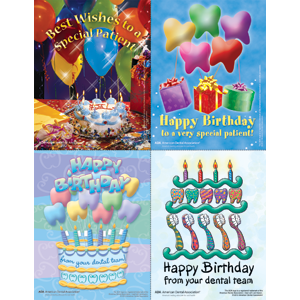 Mixed-deck laser cards include a mix of our best-selling designs to keep patients on schedule. All cards are personalized. Personalization includes name, practice name, address, phone number, and message. Choose a stock message or print your own. Minimum order quantity 200. Click Add to Cart then personalize for free. Write your own message or choose from our content library; to see message options, click the orange Sample icon above. .